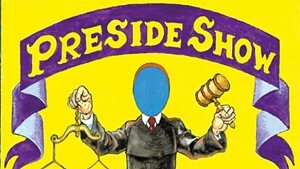 I want to thank Mark Davis and Seven Days for the cover article regarding the problems with lay judges in Vermont ["Preside Show," February 17]. I had no idea of the amount of corruption, lack of cooperation, and wily, deceptive and shady legal maneuvers. I agree that these escapades should be publicly reported in a consistent manner, in order to oust these folks from office. How about a monthly column? Kudos to Seven Days for getting this information out to the public ["New Hampshire Neurologist Studies Possible Algae-ALS Link," February 17]. It is crucial that this research continues and for the findings to be brought to the public's attention. Dr. Elijah Stommel is working tirelessly to better understand ALS and possible environmental factors contributing to the disease. 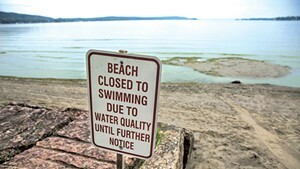 While no one wants to cause panic, there is no doubt that environmental factors are present. This is a devastating disease. While it was once considered rare, that is no longer the case. Stommel's research is going to be discussed further on April 29 from 6 to 8 p.m. at All Souls Interfaith Gathering in Shelburne. The event is free and open to the public. 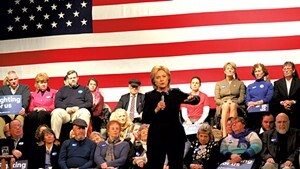 I am a 24-year-old, politically active woman, and I will not be voting for Hillary Clinton ["Vermont's Clinton Fans Tread Carefully in Sanders Country," February 17]. And I am not ashamed. I am, and others like me are, treading lightly in a political climate of intimidation in the name of feminist ideals. I was incredibly frustrated and saddened the day that I read Gloria Steinem's recent quote: "When you're young, you're thinking: 'Where are the boys? The boys are with Bernie.'" I got involved in politics as a high school student because of Sen. Bernie Sanders. He and a select few others have impacted my passion for politics over time. Once again I am reminded of how often we put one another in boxes. Just because I am a woman doesn't mean that I will support all women politically. Nor, for example, will I only vote for straight people. My perspective is that Sanders best represents my needs as a young, working woman who hopes to one day be able to buy a house, have a family and continue to pay the bills. These are my issues, and I will vote for the presidential candidate who will best represent me and my needs. I disagree with the assertion made by Erik Hoekstra in his February 10 letter to the editor [Feedback: "Developer's Lament"] and by others that property tax discourages development and drives rent increases [Feedback: "Same Deal — for Everyone," February 24]. Burlington's continued population and economic growth and development provide evidence that neither our tax nor our permitting process is too great an obstacle. I examined my records since 2008, when I bought a four-unit house in the Old North End, where I live and rent three apartments. Only in the first year were taxes my largest expense. Every year since, mortgage interest and depreciation have been larger. For those eight years, depreciation (deducting the cost of improvements over many years) is leading at 30 percent of tax-deductible expenses, then mortgage interest at 26 percent, repairs at 18 percent and taxes at 12 percent. I charge $800 to $1,000 per apartment, and the house roughly breaks even. I have a job and don't need the house to provide income, but when I look at my numbers, I can't understand how other landlords claim that our situation is so tenuous. At $1,600 per month, Redstone's new apartments are more expensive than most in the neighborhood. Contrary to free-market wisdom, rent is going up as new units are added, because other landlords increase rent to the new market price. Paying one-eighth of my expenses to the city for the benefits we get, including sidewalk plowing, is a good value, and I appreciate the planning and review efforts that protect my investment and ensure that Burlington continues to be a place people want to live. 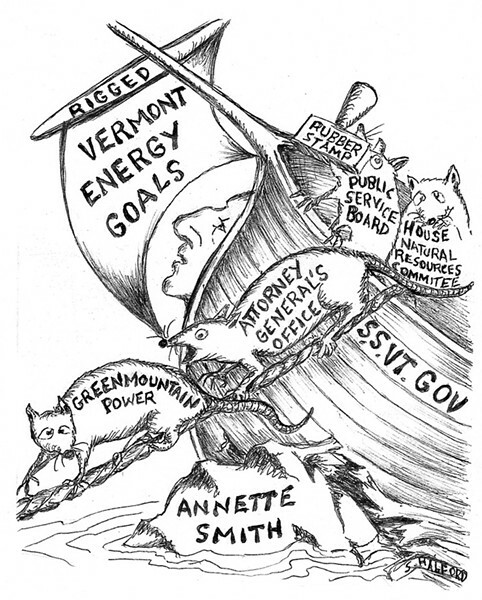 Accused by an adversary attorney of practicing law without a license while assisting citizens opposing wind-turbine developers, environmentalist Annette Smith has been vindicated by Attorney General Bill Sorrell ["Annette Smith Is a Lightning Rod in the Renewable-Energy Debate," February 10]. On February 8, the Vermont Attorney General's Office issued a press release that read: "Any definition of the practice of law must recognize the diversity of advocacy before different forums at the state and local levels, should not abridge First Amendment rights, and should insure that Vermonters have access to justice." 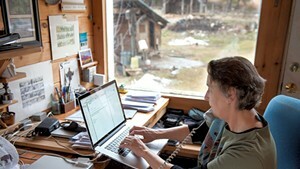 The Vermont Department of Public Service, however, still officially "represents" citizens before the Vermont Public Service Board, and Section 248 still officially preempts Act 250 to permit ridgeline development by towering industrial wind turbines with their paved access roads and sprawling transmission lines. Because the Department of Public Service cannot represent citizens opposing its recommendations, it is time to limit it to expertly providing impartial information to everyone and technical advice to the Public Service Board. It also is time to restore Act 250 to its primacy, preserving and protecting iconic landscapes, without which Vermont would no longer be Vermont, by amending Section 248 to require Act 250 permits and due process including citizens' participation, assisted as they choose.